OBRA Inc. chilled the crowd with the awesome staging of their new production, “Filipina…Bakit Ikaw?” under the direction of Jesie Barandino. It was showcased last Saturday at CAP Auditorium in Makati City. “Filipina…Bakit Ikaw?” received grand applause from the audience who were mixed of students, teachers and young professionals from various fields of expertise. Representatives from media and cultural group also attended to witness and cover this up-to-date showing. Originally-written, “Filipina… Bakit Ikaw” highlighted the issue of Filipina women as lines between sexes eventually go thinner. The play is a trilogy of different life stories of three women in the character of Filice, an OFW who struggled working abroad, Pinpin, who was forced to prostitution and afflicted with HIV and Yna, a call center agent who entered the marriage life unprepared. Last Saturday was the grand launching of ‘Filipina…Bakit Ikaw” which is about to do the year round tour in different schools and provinces starting on July. OBRA Inc. gladly welcome those interested parties who like to book the play for special activities and occasion. Email us at obraincorporated@gmail.com for inquiries and other concerns. NBN Channel 4 was invited to cover the said event. 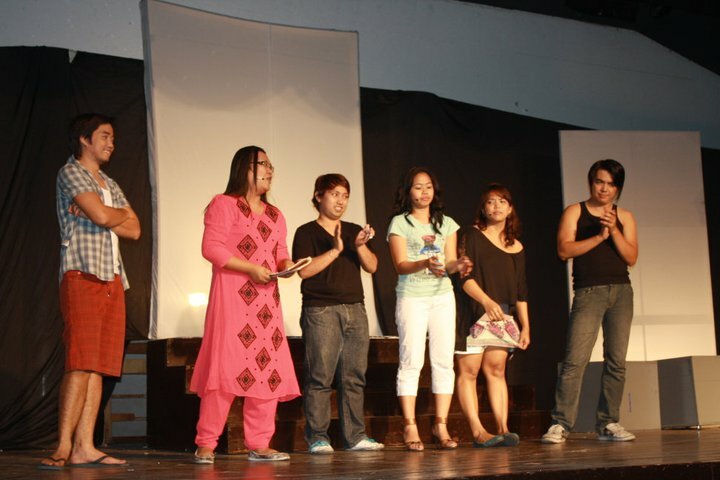 The play was featured on their morning show last Tuesday March 22, 2011 in SHEKA. The show featured the play in relation to women’s month. “Filipina…Bakit Ikaw” is brought to you by OBRA Incorporated in partnership with OSRAM Metal-lite, Ital Design, Eclipse, Dunlopillo and NBN 4’s TV show, Sheka. a very sucessfull kickoff production by obra! congratulations and more blessings to come!